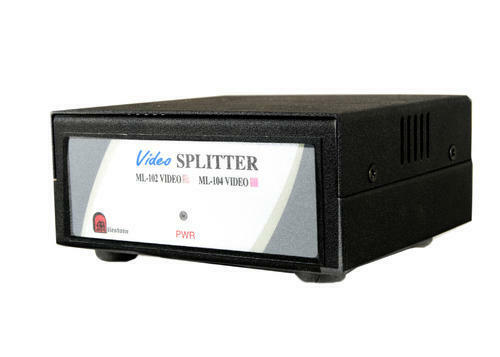 We are a leading Manufacturer of vga video convertor, hdmi presentation switcher, video vga scaler, universal scaler vga switcher, presentation video switcher and hdmi audio vga de embedder from Mumbai, India. To match up with the needs and necessities of our customers, we are offering a huge gamut of VGA Video Convertor to our customers that too in different specifications. Our capability to serve bulk orders of our customers has assisted us in attaining a huge customer support across the nation. Together with this, we offer these convertors to our customers at feasible rates. Automatically detects and down converts the incoming PC images to NTSC/PAL Video output. Milestone’s "HDMI Presentation Switcher" is a unit whereby multiple HDMI, VGA/Audio inputs can be switched to Single HDMI output or single VGA Audio output depending on the unit selected. Available in 1 U rack. HDMI, VGA with Audio in Single enclosure. Remote IR/RF or wired Keypad. LED indication for working set. Output Format Analog YPbPr/HDTV or RGB/PC. 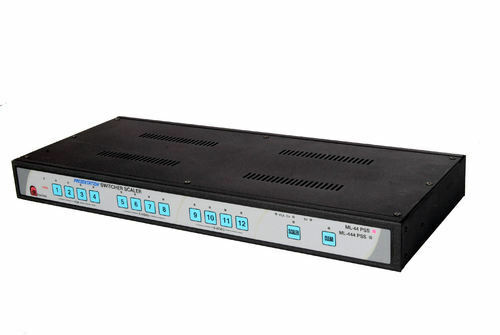 Having a definite quality management system, we have been regarded as a top company offering a premium grade collection of Video VGA Scaler to our clients. 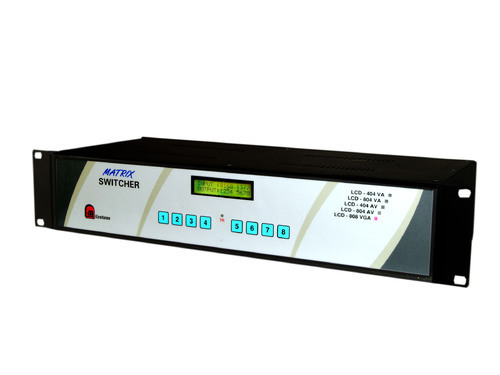 Accessible with us in multiple specifications, customizations and technicalities, these scalers are highly acknowledged in the industry despite this our on-time delivery has assisted us in becoming one of the favored choice of our clients. Advanced 3D Motion adaptive deinterlace. Automatic 2:2 / 3:2 Film mode detection. Supports 50HZ to 60HZ frame rate conversion. Average Picture Level (APL), Automatic Contrast Limiter (ACL) function support. OSD menu for picture quality adjustment. Built in 8 bit DAC for RGB or YpbPr output. Automatic NTSC/PAL Video format detection and switching. 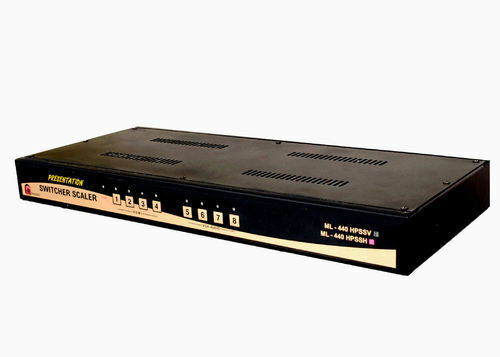 Milestone's Universal Universal Scaler Model ML UXGACS1 is designed to convert composite, S - Video and YCbcr / TPbpr or PC signal to computer resolutions. It handles video input from TV Systems, PAL TV. 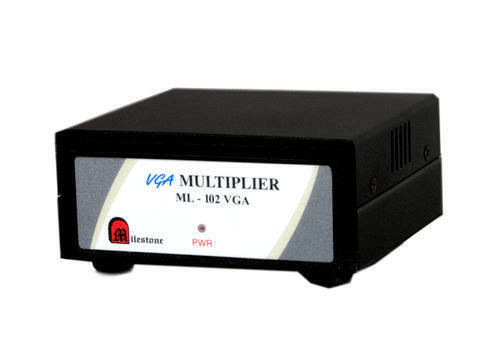 Universal UXGA Scaler has many great features to enhance performance and is ideal for use in screen presentation. Professional universal / deinterlacer for CV, Sv, YCbcr / YPBPR and PC. All inputs can be scaled upto resolution as below. PC output 640 X 480, 800 X 600 (SVGA), 1024 X 768 (XGA), 1280 X 1024 (SXGA), 1280 X 768 (WXGA), 1360 X 768, 1600 X 1200 (UXGA). 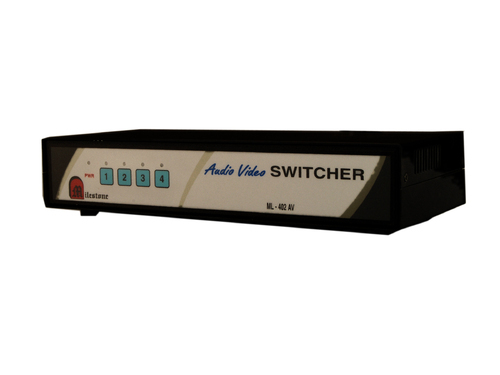 Automatically accommodates input video systems of NTSC 3.58 and PAL. High performance adaptive 3D comb filter Y/C separator. Per pixel motion compensated interfacing algorithms to produce artifact scan video signal. Built in Adaptive Film Mode 3:2 pull down provides clear and crisp de-inter originating from 24fps film, such as DVD movies. Frame rate conversion from 50Hz up-to 60Hz (PACC) or 60Hz up-to 60Hz (I). OSD menu with adjustable control on color, brightness, contrast. Built in DCT 1 / DLT 1 circuit for color / luminance transient improvement. Last memory for all adjustments. RS232(optional) interface allows remote control from PC. Justifying our standing and status in the global market, we have come up with a huge collection of Presentation Video Switcher. Developed making use of exceptional grade basic material and exceptional functionality, our provided switchers are hugely recommended. Besides this, their longer functional life and effectiveness have assisted us in attaining a huge customer support across the nation. 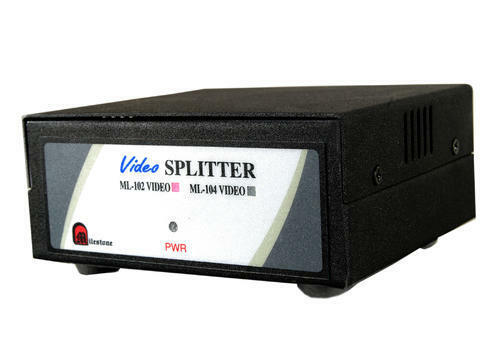 VGA, C Video and S Video Switcher along with its Audio in single enclosure. VGA, C-VIDEO & S-VIDEO, all individually and separately operated. POWER OFF last selection saved in battery backed memory. Individual audio outputs as well as common master audio output for the last channel selected. 4 VGA inputs along with its AUDIO, 4 COMPOSITE VIDEO Inputs along with its AUDIO and 4 S VIDEO Inputs along with its AUDIO. 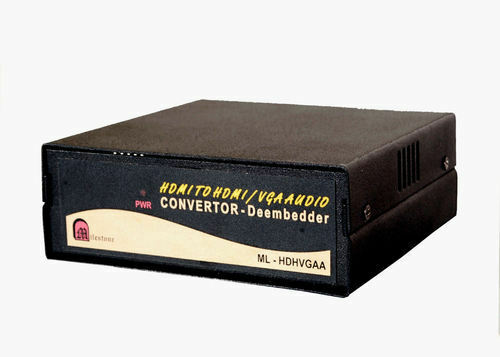 The Milestone HDMI to HDMI/VGA AUDIO Convertor-Deembedder-ML HDHVGAA is a professional quality HDMI Audio VGA Deembedder. Unit is capable of accepting an HDMI input signal and de-embedding the audio signal with additional HDMI & VGA output. PC resolution upto 1920x1200 pass through with signal amplification and equalization with reclocking function. Our clients can avail from us VGA Audio and Video Presentation Products that are easy to install and user-friendly. 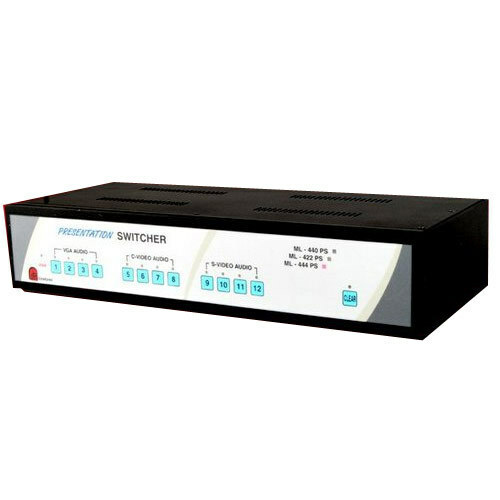 The “Presentation Switcher" is a unit where multiple VGA, Composite VIDEO & S-VIDEO inputs along with their respective AUDIO can be switched to individual respective gain controlled outputs along with their AUDIO. 4 VGA inputs along with its AUDIO, 4 COMPOSITE VIDEO Inputs along with its AUDIO and 4 SVIDEO Inputs along with its AUDIO. Easy to install - plug and play kind. Fully compatible to VGA, SVGA & EVGA monitors and standard C-Video. Individual front panel local keypad. RF Wireless remote keypad (optional). IR Wireless remote keypad (optional). Standard VGA cables for VGA I/P & O/P. Looking for “VGA and Audio Presentation Products”?